There are so many valuable verses to dig into in Luke 12. While spending intentional time in His word each day you find more meaning and make that connection with something directly impacting you. This is where I focused today. Many people have stress, anxiety, and worries about their day. Some may turn to medications, drugs, alcohol, shopping, eating, and other types of binges that attempt to fill our mind with other thoughts to ease the pain. In Luke 12: 22-34 The Lord offers us a way to not just “manage” or anxieties but eliminate them. 22 And he said to his disciples, “Therefore I tell you, do not be anxious about your life, what you will eat, nor about your body, what you will put on. 23 For life is more than food, and the body more than clothing. 24 Consider the ravens: they neither sow nor reap, they have neither storehouse nor barn, and yet God feeds them. Of how much more value are you than the birds! 25 And which of you by being anxious can add a single hour to his span of life? 26 If then you are not able to do as small a thing as that, why are you anxious about the rest? 27 Consider the lilies, how they grow: they neither toil nor spin, yet I tell you, even Solomon in all his glory was not arrayed like one of these. 28 But if God so clothes the grass, which is alive in the field today, and tomorrow is thrown into the oven, how much more will he clothe you, O you of little faith! 29 And do not seek what you are to eat and what you are to drink, nor be worried. 30 For all the nations of the world seek after these things, and your Father knows that you need them. 31 Instead, seek his kingdom, and these things will be added to you. 32 “Fear not, little flock, for it is your Father’s good pleasure to give you the kingdom. 33 Sell your possessions, and give to the needy. Provide yourselves with moneybags that do not grow old, with a treasure in the heavens that does not fail, where no thief approaches and no moth destroys. 34 For where your treasure is, there will your heart be also. Life can be hard… when you reflect on years, days, or even moments you can think back to times where you have been totally consumed by a moment that leads to stress, worrying, or just fear. God offers for those who listen and obey, a stress free life. This is only possible through Him. Some of these verses quoted I’ve shared with others, and yet, there are times where I forget them myself. This was a timely reminder to give it all to our Lord. My “what if” scenarios lead to stress, worrying, and fear that are completely against what God has in store for us. He is committed to our well-being and we should be focused on His kingdom. There are no pharmacies which can eliminate this feeling of worrying or other earthly avenues to manage our pain. God offers a way to eliminate it. Divine Purpose – Luke 12:22-23 And he said to his disciples, “Therefore I tell you, do not be anxious about your life, what you will eat, nor about your body, what you will put on. 23 For life is more than food, and the body more than clothing. This verse reminds us that we can either be rich towards ourselves or rich towards heaven. Stop worrying about the basics like food or clothing. Verse 22 says that these necessities will be provided for us by God. Verse 32 offers our assurance to the kingdom God promises us in heaven. My sin, at times, is my failure to understand these verses that God has already take care of these things in my life both here on earth and in heaven. God is going to take care of you. 1 Peter 5:7 reminds us to cast all our anxiety on him because he cares for us. Luke 9:23 tells us that our Lord wants us to be his disciple. We are a divine priority that God has put here to fulfill a divine purpose. Whatever the current circumstance God has been purposeful. Philippians 4:11 God has a purpose for you to fulfill today and always. Divine Provisions – Luke 12:24 Consider the ravens: they neither sow nor reap, they have neither storehouse nor barn, and yet God feeds them. Of how much more value are you than the birds! Since God has a divine purpose for your life he also will provide you with everything you need. So being rich in God means he will be rich in us. He will do everything he needs to sustain us for His purpose. Matthew 6:26 Look at the birds of the air; they do not sow or reap or store away in barns, and yet your heavenly Father feeds them. Are you not much more valuable than they? We don’t have to build bigger or horde more. Be smart and faithful. Even the birds are dependent on God. How much more he loves us and he will sustain us. His mission for us is to serve and to witness to others. He will take care of our lives. Divine Privilege – Luke 12:25 And which of you by being anxious can add a single hour to his span of life? We don’t have the privilege to determine our life span. God does. That is true, I recently had this conversation with a family member about how God gives us life and takes away. Psalm 90:12 Teach us to number our days for a heart of wisdom. Stay disciplined and moderate what you do so we can serve with all our heart, energy, and power. Avoid gluttony, laziness, or overindulging. When we are born or die is determined by God. Divine Preference – Luke 12:27-28 Consider the lilies, how they grow: they neither toil nor spin,[d] yet I tell you, even Solomon in all his glory was not arrayed like one of these. 28 But if God so clothes the grass, which is alive in the field today, and tomorrow is thrown into the oven, how much more will he clothe you, O you of little faith! God created us in His image. He has created the grass and covers it. How much more will he do for us. The temporary testimony of the beauty of a flower. We are the bride of His beloved son. With His own personal touch he created us in His image. Genesis 1:26. He then breathed His own breathe into us. 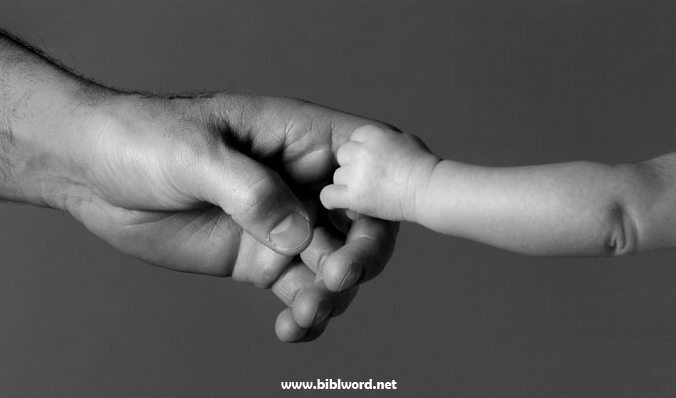 Divine Paternity – Pater in Latin means Father. God is our Father. Luke 12:30-31 For all the nations of the world seek after these things, and your Father knows that you need them. 31 Instead, seek his[e] kingdom, and these things will be added to you. If we don’t have God as our Father who is? I lost my father to addictions, divorce, and cancer many years ago. For many years I searched to fill a void in my life by a earthly father. This void would never be filled with any temporary fixes of the world but by our heavenly Father who names all our names. He is our provider, protector, and gives us everything we need. Psalm 37:5 Commit your way to the Lord;trust in him, and he will act. So today as you start the day, lets start and turn to His word and let our faith in God be fulfilled for his purpose. Simply trust in him by praying and not worrying. Have a perspective on your problems and turn to the best problem solver there is, our God. Use your support team, utilize your fellow believing friends to pray for the wisdom and strength to get through whatever current situation you may be dealing with. Our father loves us and seeking His Kingdom means making Jesus the center of your life. Are you holding anything back? Is there problems you can submit to Him? When you start the feeling of being anxious, worried, or fear starts to take over. Prayerfully turn to God and His words in Luke 12 as a reminder of the faith we need to have in Him and his purpose for this life. Seek His Kingdom.